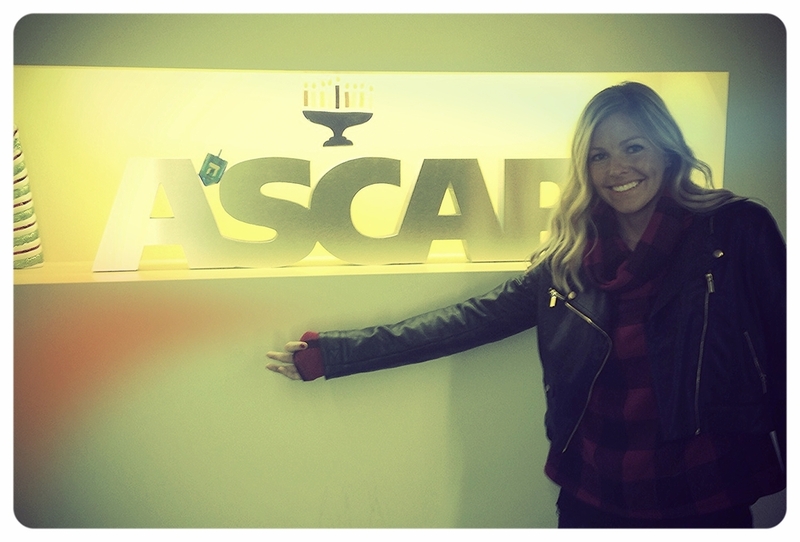 I had an incredible day today, I had a pretty awesome opportunity to play some music for the staff at ASCAP. If you're not familiar with who they are, it stands for American Society of Composers and Publishers. They are an organization that protects its members and collects their royalties. They are a global company and the biggest in their category and just celebrated 100 years of business. JP and I drove up in the pouring rain and like most of our musical adventures we had no idea what to expect. We got there a little early so we walked across the street and ate at 9021 Pho, a delicious Vietnamese place on Sunset Blvd. It was my first time eating at a Pho restaurant and I will definitely be back again. It was delicious! After lunch we walked our way over to the fancy American Directors Guild building. I don’t usually get too nervous before meetings or shows but for some reason my nerves were firing. I have such a huge respect for this company, I was so honored to be there. We jumped in the elevator and headed to the 3rd floor where we checked in with Yvette the Membership Coordinator for Film & TV, our 'shining light' and liaison. She lead us into the ASCAP songwriting room. The room had guitars on the wall, keyboards, Apple computers for recording and comfy couches. It had a really unique vibe to it. I can totally see how hit songs are written there. We were introduced to Ed and Gali from the pop/rock division. As soon as I met them my nerves completely subsided. They were so down to earth and made me feel at home. The next hour and a half was filled with conversations about my musical history, what I am up to now and my goals. They gave me advice and I played them some of my original songs. The experience was both laid back and powerful. I will never forget it.